Model Amber Arbucci enjoying some Chivas Regal. I’m gonna come right out and say it. This sh*t is for real. 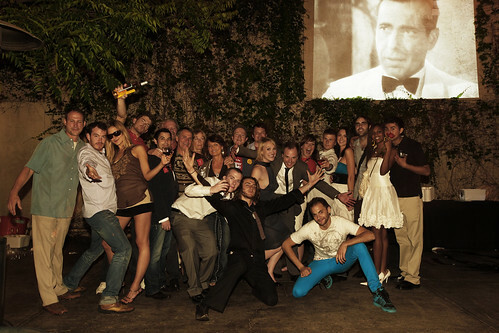 On May 18, 2009, at the sleek Falcon Hollywood on the famed Hollywood Sunset strip, Mutineer Magazine made a statement with the Mutineer Magazine National Launch Party presented by Paso Creek. 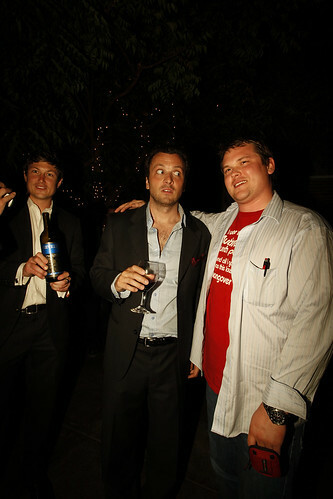 Hundreds of Mutineers attended the red carpet event, which included a diverse, star-studded lineup of fine beverage companies pouring their creations. The party was hosted by Issue #5 cover guy Zane Lamprey. When Lamprey isn’t hosting Bar Mitzvahs and magazine launch parties, he’s exploring drinking cultures around the world on his TV show, “Three Sheets”. 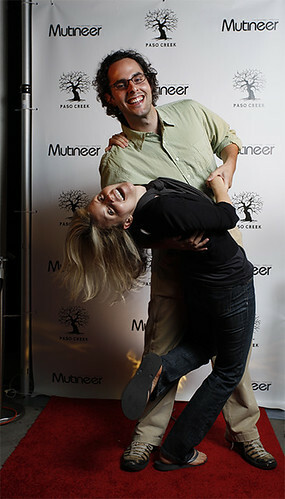 All the photos from the National Launch Party can be found on the Mutineer Magazine Flickr page. Look for more coverage of the Launch Party in the August/September issue of Mutineer Magazine. 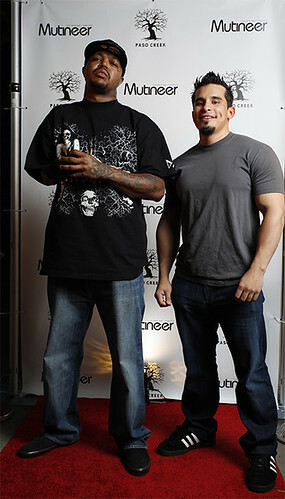 The guys from Three 6 Mafia stopped by for some fine beverages. 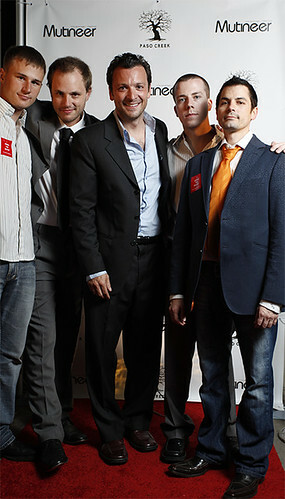 The Mutineers with the Mutineer Magazine National Launch Party’s honorary host, Zane Lamprey. Mutineer Editor Alan Kropf with Keith Saarloos of Saarloos and Sons Wines. Amy Christine and Eduardo Porto Carreiro of DrinkThisTV came to party. Presenting sponsor Paso Creek’s representatives donned roller skates, making Mutineer Director of Operations Jeff Dorenbush angry as he wasn’t aware roller skates were an option. Firestone Walker poured several bottlings of their fine beer. 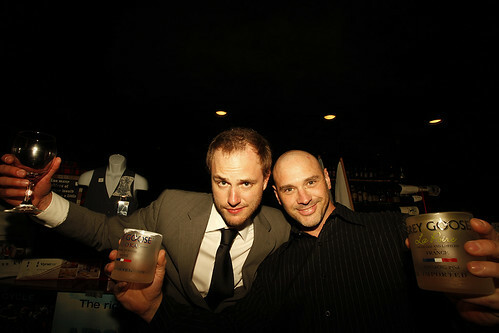 Zane Lamprey and Lloyd Benedict of AmericanWinery.com sharing a moment. 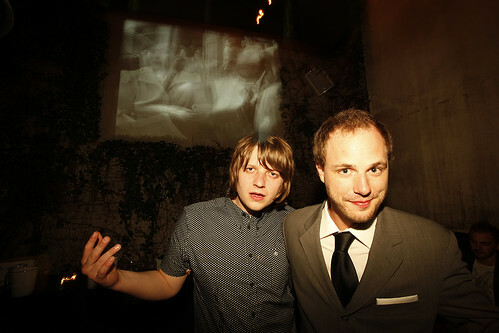 Jesse Porter from the Young Winos of LA with a lovely lady. 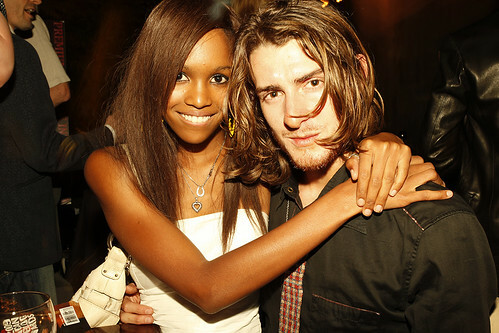 Punk’d’s Ben Morrison, Zane Lamprey, and model Amber Arbucci. Mutineer Editor Alan Kropf with futuristic glass artist Jack Storms. Jones Soda flowed like water throughout the Launch Party. Legendary Mutineer Photog Ian Andreae with his lovely date. 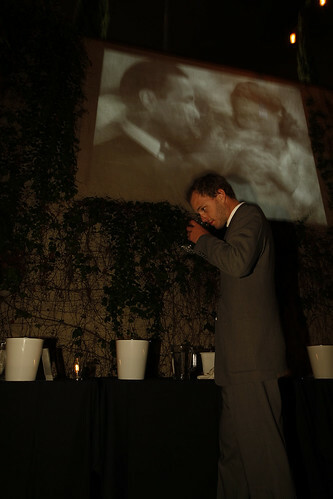 Mutineer Editor Alan Kropf doing a little introspective tasting after the party. Mutineer Editor Alan Kropf with the evening’s DJ, Hunter Lea of Mono in VCF. 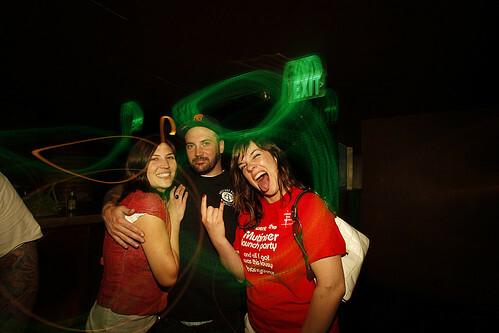 That one guy from Verdugo (awesome beer bar near LA) with that one girl from AmericanWinery.com wearing one of those killer Mutineer Launch Party t-shirts that AmericanWinery.com brought. The group shot at the end of the night highlighting the people oblivious to the requests of Falcon security to clear the premises. It was a hell of a party for sure. Haha, it was a good time, and yes, it was our first event. Awesome event Alan. You guys did a fantastic job. The wine, ale, and spirits were wonderful. Keep up the good work. Looks like it was an awesome event. Congrats! Alan, you clean up real nice…I wouldn’t have recognized you without the photo captions. :) Cheers! The Chivas Regal 25 was awesome. Great gig JJ and Alan. Loved the Absinthe. Mrs. Keyes had a great time too at the party. Playing Mono in VCF on the Rick Keyes Show. war Tapes Continental Divide Just released. Great music.